Official makeover for Halfway roundabout. The news comes about twelve months on since Deputy Daly first raised the issue with Council Management and since then Mr. Daly says he has received ongoing correspondence from constituents seeking updates and requesting him to pursue the matter further. 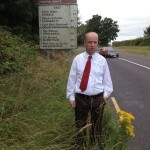 The Fine Gael TD said this week “I am delighted to have received written confirmation from the Chief Executive of Cork County Council Mr. Tim Lucey, acknowledging the strategic location of this roundabout and committing to including the cost of a long term sustainable solution for the area in the 2016 council budget. The plan will include planting of shrubs and flowers and regular maintenance of the grassed area. 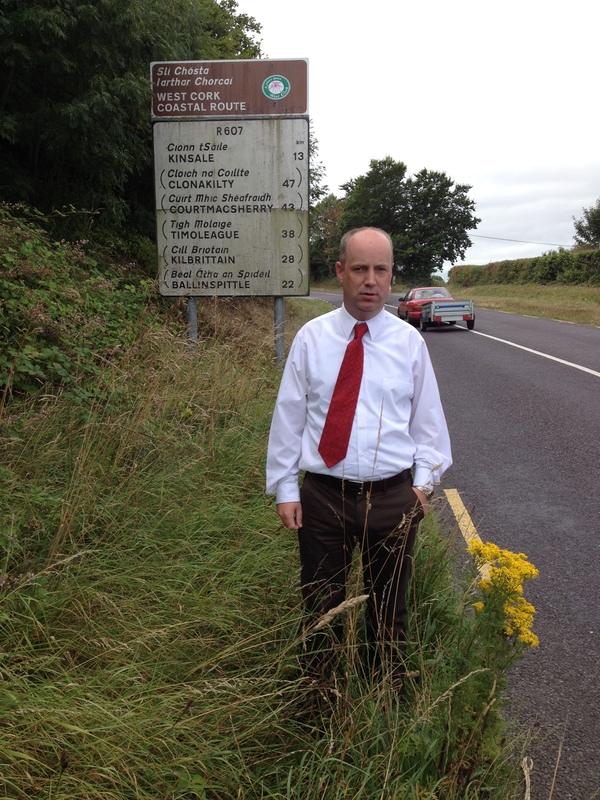 This junction is the “Gateway” to West Cork and it has been in a less than satisfactory condition for a number of years. With little effort it could be transformed and offer a real positive welcome to the growing number of tourists that visit West Cork each year”, concluded Deputy Daly.